WASHINGTON, Missouri, January 2012 – Hillermann Nursery & Florist remained in the ranks of the horticulture industry’s top independent garden centers when it was named one of Today’s Garden Center’s Revolutionary 100 of 2012. This is the seventh year that the company has received this award. The program, now in its seventh year, surveys garden center owners and managers and culminates in a listing of the 100 most revolutionary garden centers in the nation. It is open to all independent garden centers, large and small, and is based on leadership and innovation, not on size or revenue. “It is a great honor to be named to the Revolutionary 100 list of 2012, especially since it is the seventh year for us to receive this prestigious award. This is the 61st year that our company has been in business, and we are striving to find new ways to serve our customers and community better each year. We will be offering new product lines and have a great lineup of classes and events this year. Our willingness to try new offerings, ideas and displays helps us stay revolutionary,” says Sandi Hillermann McDonald, president of Hillermann Nursery & Florist. Garden center owner and managers across the United States fill out an extensive online questionnaire covering topics such as customer and community service, management philosophy, marketing, use of technology, purchasing and profitability. The entrants are ranked according to a point system, and the 100 top entries make the list. Established in 1951, Hillermann Nursery & Florist is operated by second-generation family members. 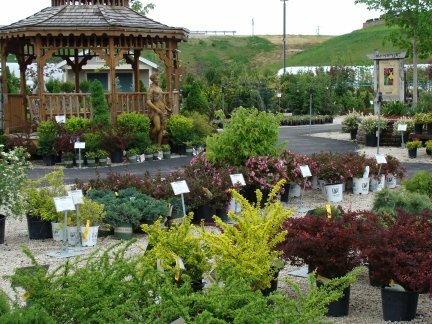 It is a large, diversified company, employing more than 80 people and providing a wide variety of services within its departments of Garden Center, Nursery/Greenhouse, Florist/Gift Shop, Landscape and Irrigation (design, installation and maintenance), and Lawn and Garden Equipment Sales and Service. The company grows much of its own annual, perennial, rose plants, container gardens and hanging baskets taking care to make them the best quality possible. The company is proud to be known to offer quality items and professional service in all of its departments. The 2012 Revolutionary 100 Awards program is sponsored by one of the premier industry suppliers for greenhouse structures, Nexus Greenhouse Corp.
More information on the Revolutionary 100, including the complete listing, can be found in the January issue of Today’s Garden Center magazine and at http://www.Revolutionary100.com.